I never had the opportunity to see the 2001 romantic comedy musical film entitled Amelie but it sure looks like I'm going to get a chance to see the musical on Broadway by the same name in the days ahead. 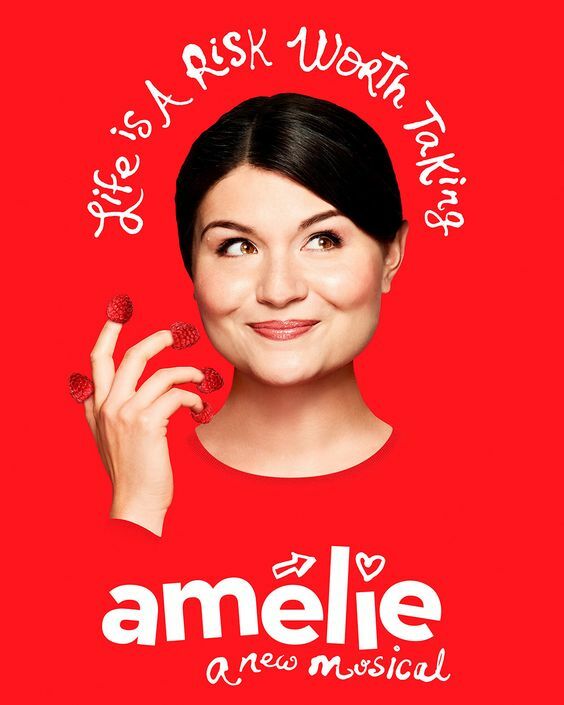 On March 9-2017, a new musical called Amelie, that recently played an out-of-town engagement in Los Angeles, is making its way to the Walter Kerr Theater to begin preview performances on Broadway. One of the shows stars will be Phillipa Soho, who recently completed her run in the hit show Hamilton, for which she received a Tony Award nomination. She's quite a talented young actress indeed. As the story goes, Amelie comes from an odd-ball set of parents that have kept her isolated from the world, complete with home schooling and very little outside contact. She begins to imagine that her goldfish named Fluffy comes alive and speaks and is also her very closest friend. Amelie is an exceptional young lady, quiet in nature yet a person with dreams that play "loudly in her mind". She's a very kind and gentle young lady who brings happiness and joy to others while also creating mayhem at times. When Amelie gets to meet a special someone, she'll have to risk everything and let her heart lead her forward so that she, too, can have her chance at happiness. Amelie is directed by Pam MacKinnon, Tony Award winner for Who's Afraid of Virginia Woolf? The book of this musical is written by Pulitzer Prize and Tony Award nominee Craig Lucas (The Light in the Piazza) with music by Daniel Messe and Nathan Tysen. Opening night is set for critics to review Amelie on April 3-2017. Right now, Applause-Tickets, a local Broadway ticket expert, has access to excellent seats and discount pricing for Amelie through May 21-2017. If the show opens to very positive reviews, my guess is that the discount pricing will be removed. Still Amelie could indeed be in the running to pickup some Tony Awards at the show in June 2017. If you are interested in seeing what looks like will be a very fun and heartwarming new Broadway show,, you may want to consider a call to our team at Applause-Tickets in the days ahead. We can discuss seating and price options and help you obtain Amelie tickets for the performance of your choice. I hope you find this Amelie blog post helpful and will consider contacting the Applause-Tickets team anytime you are thinking about attending a live Broadway Show, Sporting Event or Concert in the days and months ahead. Cheers and good luck to the cast and creative team of Amelie on Broadway.